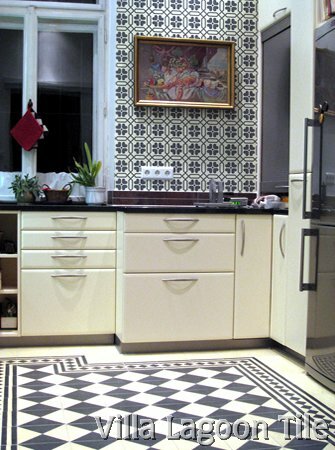 Add a bit of the extraordinary to your kitchen or restaurant/bar. 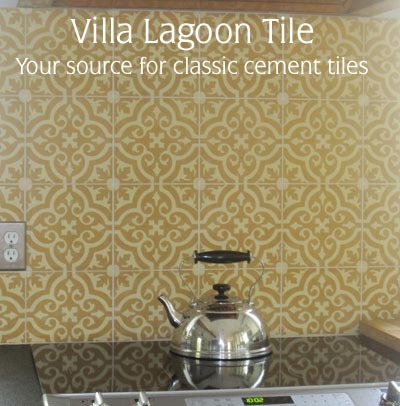 Cement tiles have a certain element of energy that transfers to the observer every time ! 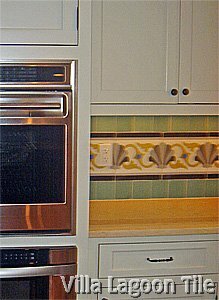 Keep in mind that we have 30 sq ft minimim from stock tile, 50 sq ft minimum custom tile, so plan to tile an adjacent wall or floor as well as your backsplash. 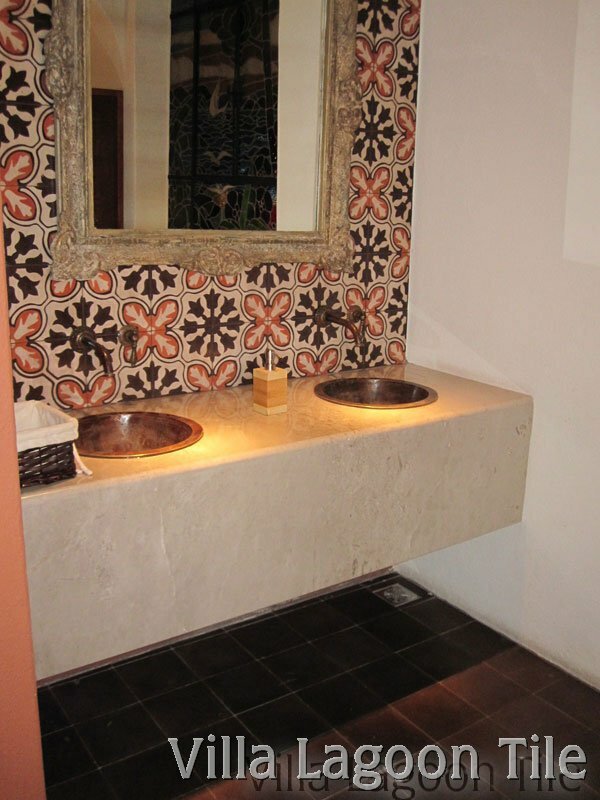 This bathroom in a Mexican restaurant has a solid color charcoal tile floor and a three color cement tile backsplash which matches the floors in the restaurant. 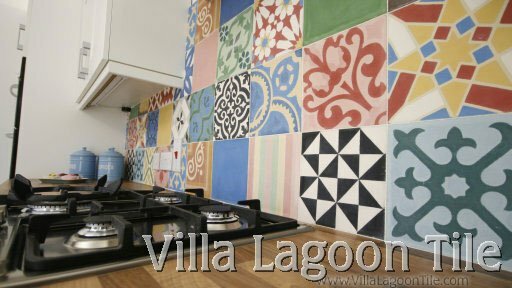 With our Euro partner, Mosaico, we provided the tile for this London England UK kitchen and outdoor terrace. 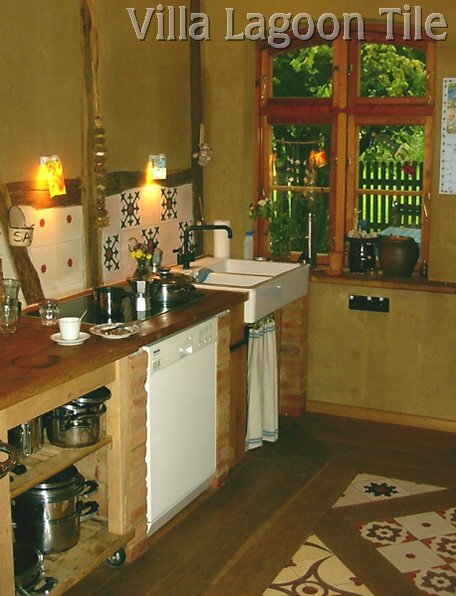 We love the clean, crisp look and how the small kitchen is made so much larger by the extension of the matching outdoor terrace. 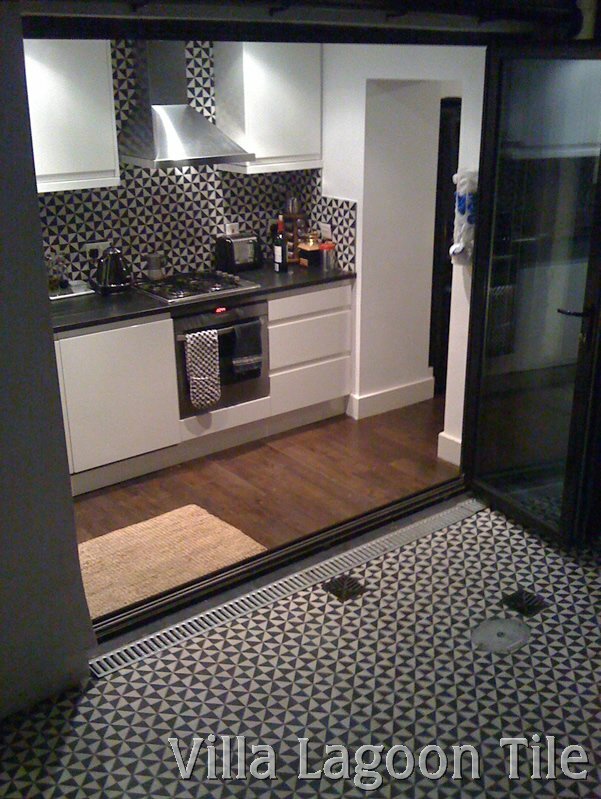 The client wrote, "We love the tiles so much...You can see we have bi-folding doors that lead into the external courtyard area... in the spring and summertime it really open up our little kitchen. 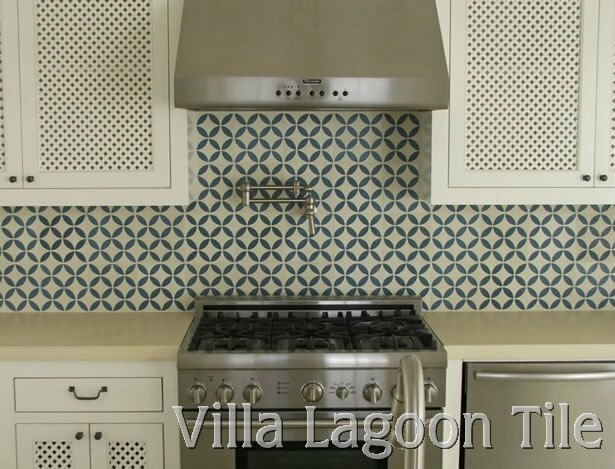 We are very pleased with the result." 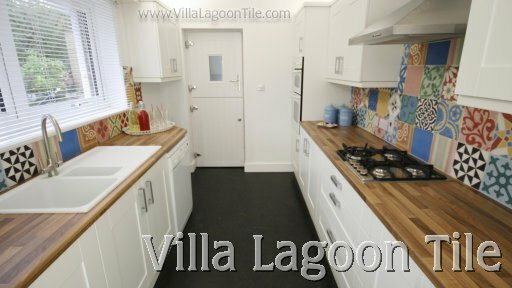 The two photos above are 'after' shots of a kitchen in Ottery-St. Mary which was built out on the TV show, BBC One, DIY SOS The Big Build. 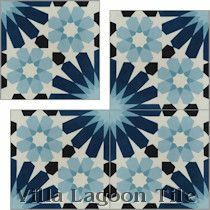 We are proud to have participated in this popular UK show. 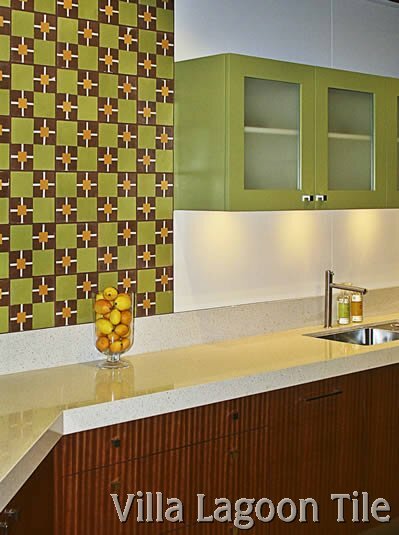 This tile from one of our suppliers looks crisp in a contemporary kitchen. 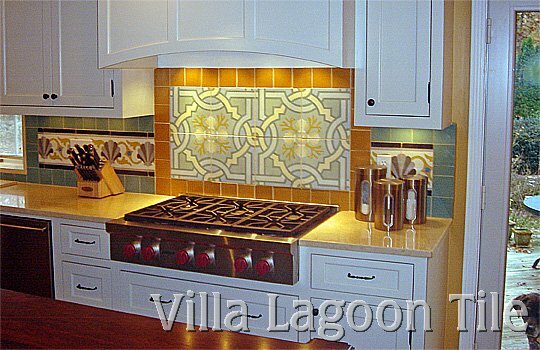 Our Geo-10 Tile in two colors forms a charming backsplash in this traditional kitchen. 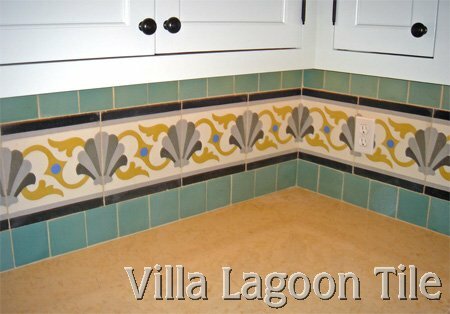 Pattern tile can be combined with solid colors for your own unique look. 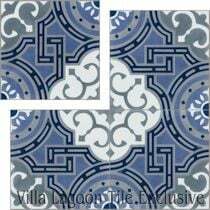 Our Shell Scroll "Winter" is combined with Caribbean Blue solid color tiles here. 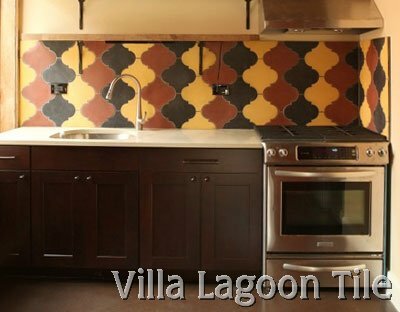 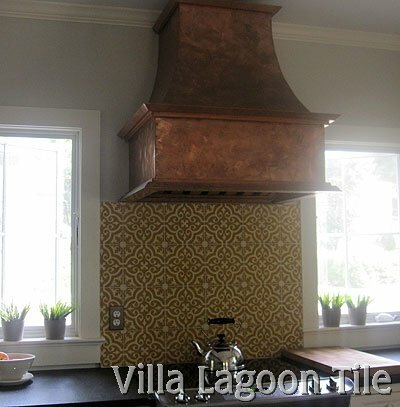 Kelly Campbell installed our Colonial style shaped tiles in her urban kitchen, below. 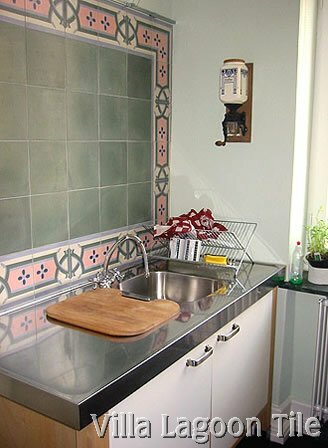 Old world or modern, we can provide cement tiles for your kitchen, bar or restaurant walls and back splashes, or splash backs as it is known in some places. 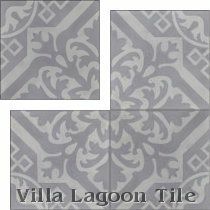 Call us today to discuss your project and let us tell you how you can have the tile of your dreams ! 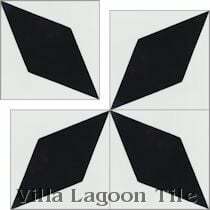 30 sq ft minimim from stock tile, 50 sq ft minimum custom tile.